CHICAGO (WLS) -- Claims of a hate crime at an Illinois mosque have Chicago area locations increasing security. The FBI is investigating after something broke a window at the Islamic Center of the Quad Cities in Moline during prayer services Monday. Now, the Council on American-Islamic Relations has asked area mosques to be on alert. 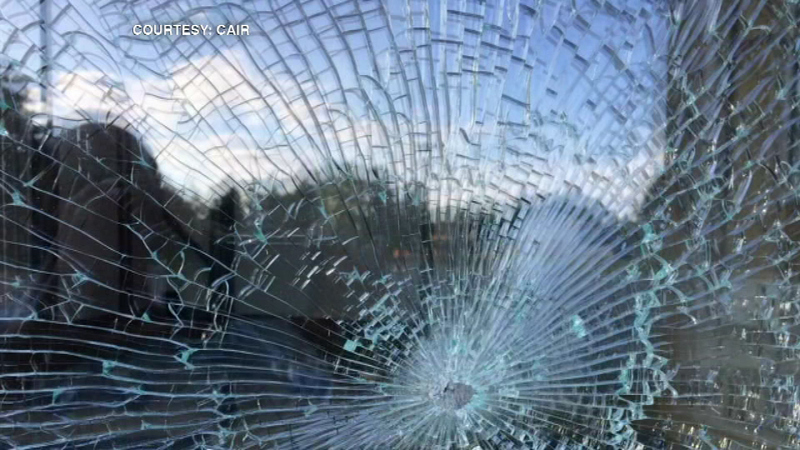 In the Chicago area, there have been shots fired at two mosques in the past three years.